Kizomba dancing originated in Angola, Africa but has been gaining in popularity in the Netherlands since 2011. Curious how this cultural transmission affects white Dutch notions regarding self and other, this book examines the socio-cultural production of difference among white Dutch in the Dutch kizomba scene, primarily in relation to people of African and African diasporic descent. Tying into existing literature regarding the paradoxical state of contemporary Dutch society regarding gender, race and ethnicity, the author explores the balancing act between freedoms and restrictions that shape, guide, and inform peoples behaviour. She thereby illustrates various performative mechanisms through which difference is reproduced. This is relevant in a time characterized by racial ignorance on the one hand, and xenophobia and heated debate concerning Dutchness and Otherness on the other. 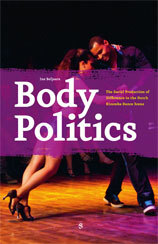 Taking the body as point of departure through which gender, sexuality, race, ethnicity and nationality are analysed, the author demonstrates how the micro-politics of small, embodied movements connect to larger transnational mobilities and their macro-political contexts. 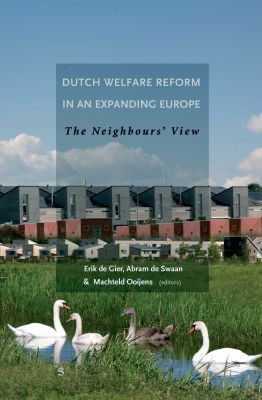 The fine-grained ethnographic descriptions navigate the reader through a highly sensitive topic in the Netherlands and contribute to social and academic debates in contemporary Dutch society.